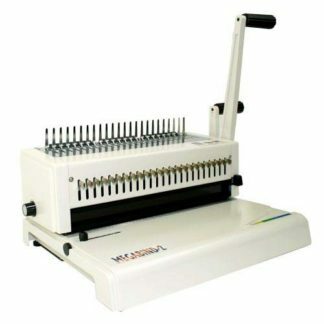 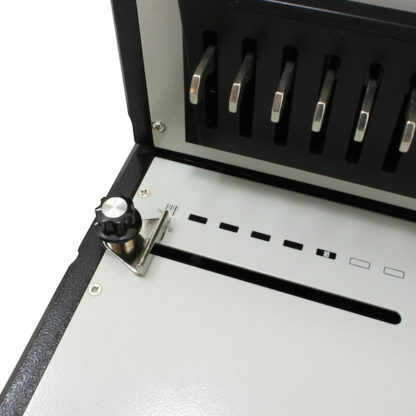 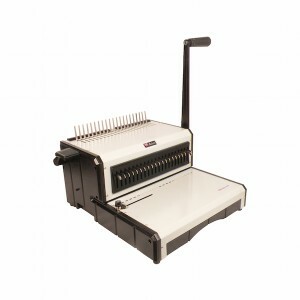 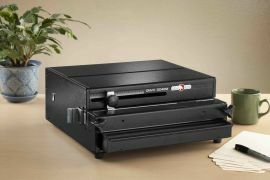 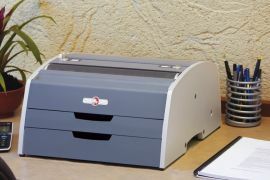 The AlphaBind-CM manual comb binding system, similar to the AlphaBind-CE, is designed for small office and home use, and is perfect for those who mainly bind letter-sized documents. 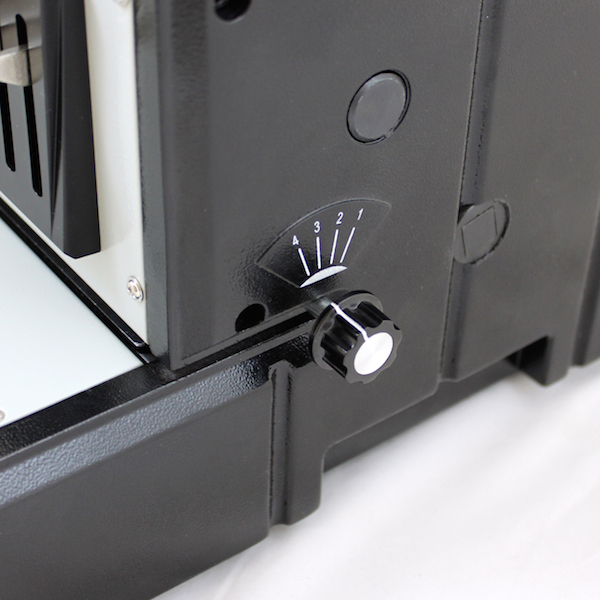 With fully disengageable die pins, side and depth controls, and a large waste compartment, the AlphaBind-CM is the perfect, affordable solution for light use environments. 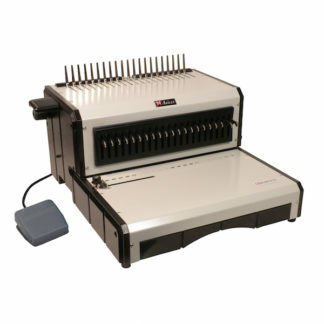 If you’re looking for a simple-to-use comb binder with all the features that you need, check out the Akiles AlphaBind-CE.